Prime Time Toys Dart Zone Info Drop! This is one of those strange posts where we tell you to watch other people’s content. Which is perfectly ok, because they have cool new info for everyone to see! Prime Time Toys has lots of new blasters due out this summer, including the Dart Zone BallistixOps Powerball. It’s a Target exclusive, featuring an eight ball hopper that is fully compatible with Rival rounds. Pump action springer, claims of comparable ranges, and for $17.99. See Foam From Above’s Video for more. On the dart firing side of things, Coop772 has his hands on the QuattroBlast, Light Command, and Dart Storm. The former is a direct competitor to the Doominator, but for $19.99. The other two are belt-fed flywheel blasters, each with their own features and gimmicks. All, however, have much higher stock firing speeds than current Nerf Elite blasters. See his video review of all three here. We have more updates coming in the future. Stay tuned! 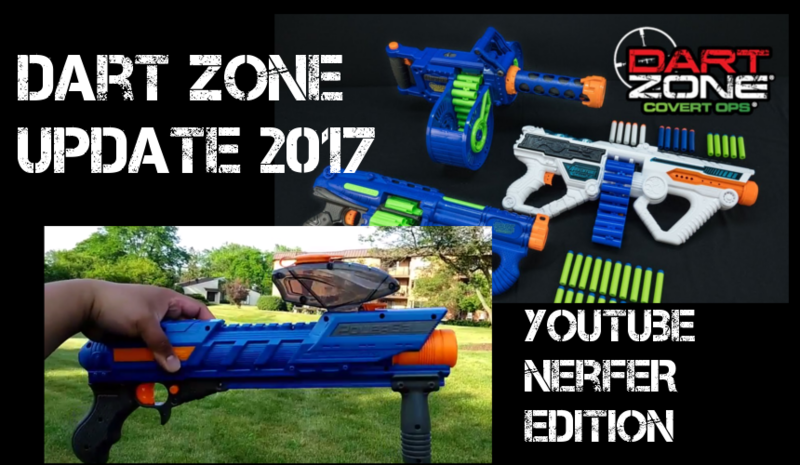 This entry was posted in Dart Blasters, News/Updates and tagged 2017, dart zone on June 13, 2017 by BuffdaddyNerf.